for Bible crafts for children. math concepts, and for creating fun with children. David played his harp and sang. in order to make a harp. that David loved to sing songs to God. and let the children play their "harp." 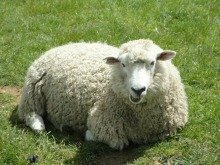 Find a coloring sheet of a sheep. Copy a page for each child. and then glue them on the sheep. Noah and the Ark is a great Bible story. There are so many activities that can be done. You can "make" any animal craft, and it will fit the story. You can practice counting using the animals. of sea animals and plants. You can sing the traditional song: Noah and the Arky, Arky. You can read nonfiction books about animals and emphasize the variety of animals that God made. You can have fun asking the children questions such as - which animal do you think is the funniest, smartest, biggest, smallest, and most beautiful? Which animal has something sharp on its body? Which animal can make itself into a round shape? Name an animal with hair. Name an animal with a horn. Name a type of bird. Remind the children that Adam named the animals. have some fun naming the animals. "If I was naming an elephant, I'd name him Mr. Sillynose. What funny name would YOU give an elephant?" The child might answer, "Mr. Spewtoggle." Jesus is called the Lion of Judah. Explore that concept with older children. 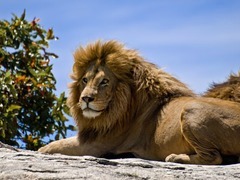 Consider visiting our Lion of Judah page for ideas. they thought it was a fraud. They couldn't believe such an animal existed. Also consider searching the internet for coloring sheets that relate to Noah. Do an internet search for a Bible picture of Moses and the Burning Bush. Then let the child color the page with specific instructions to color the bush green. Then after the child is finished coloring, let the child crush a small piece of Easter basket red foil/paper that is used to cover an Easter basket gift basket. You then staple the foil to the bush for the child. Avoid letting a child near a stapler. Do a search for a coloring sheet of Zacchaeus in a tree. Make a copy of Zacchaeus for each child. Then let the children paste with a glue stick the tree truck on a piece of construction paper. Then glue the branch on. Then paste Zacchaeus on the branch. Jesus went about healing people. Talk about the people Jesus healed. Jesus healed blind people. Jesus healed deaf people. Jesus healed sick people. Pray for someone who is sick. Have a box of Bandaids. Do math activities with the Bandaids. Give each child 8 Bandaids. Then ask each child to show you three Bandaids, then five Bandaids, etc. You could also give them 5 round Bandaids and 5 rectangle Bandaids. Then you could ask for them to show you 2 round Bandaids AND 3 rectangle Bandaids. That will increase the difficulty of following the instructions. You can also find a picture of a person from the internet and make copies. Then let them put Bandaids on that person. 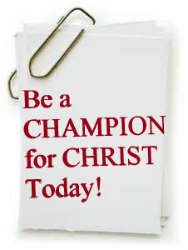 Be a Champion for Christ! 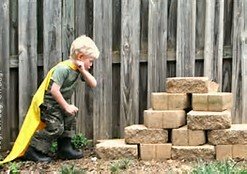 a Superhero - A Christian Superhero!